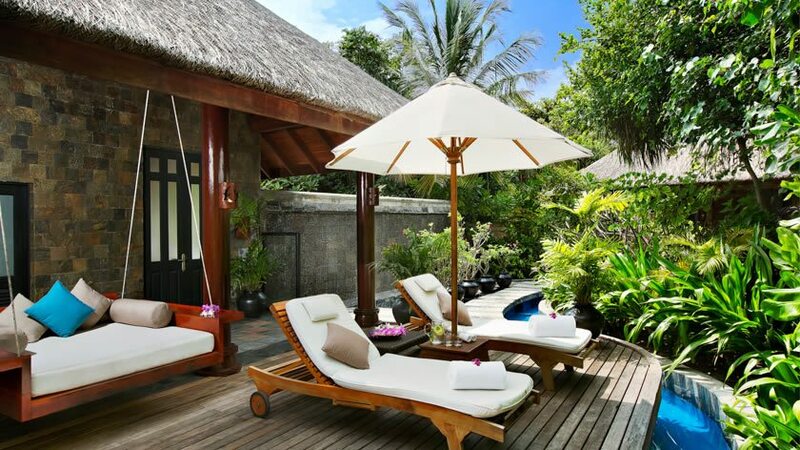 The Beach Bungalows with private pool are spread across 150-square metres, the interior of the beach bungalows flows harmoniously from living and play, to sleeping and seating areas. 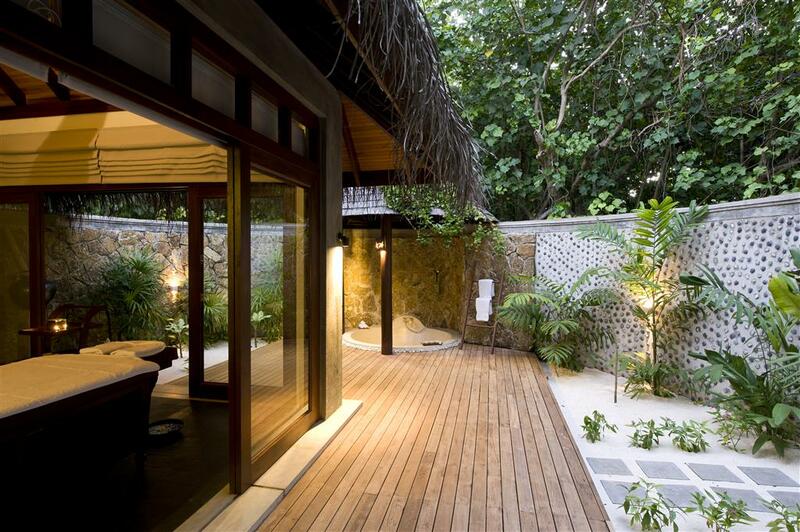 The Beach Bungalows can comfortably accommodate up to 2 adults and 2 children below 16 years or 3 adults and one infant. 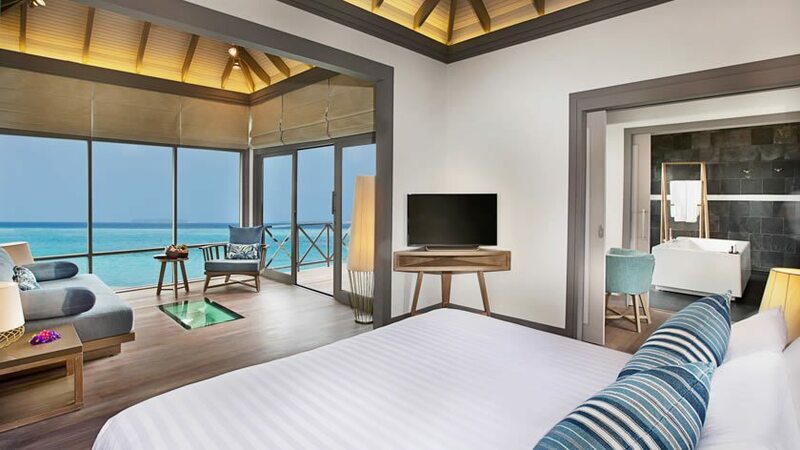 The JA Manafaru Sunrise Water Villa with Infinity Pool are 110-square metres with high-ceilings making romancing easy on a Maldives villa holidays. 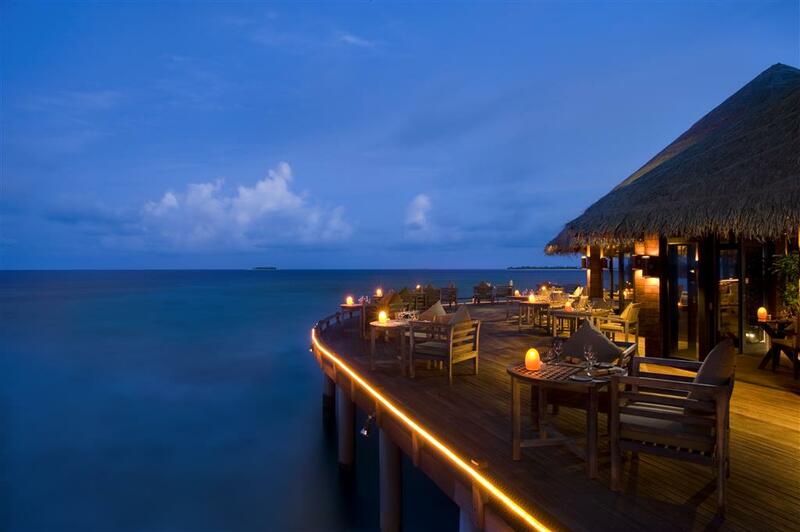 As the Villas names suggest these stilted water villas are perfectly built for witnessing the the Maldivian Sunrise. 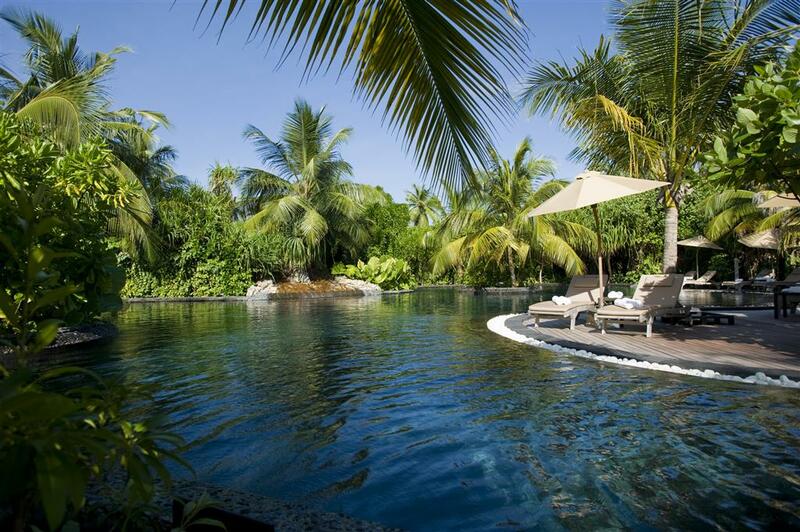 The Sunrise Water Villa with Infinity Pool can comfortably accommodate up to 2 adults and 2 children between ages 8 to 16 or 3 adults. 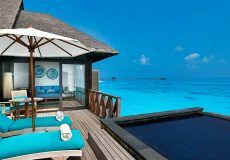 JA Manafaru Sunset Water Villas with Infinity Pools are named after there location for experiencing the Maldivian sunset. 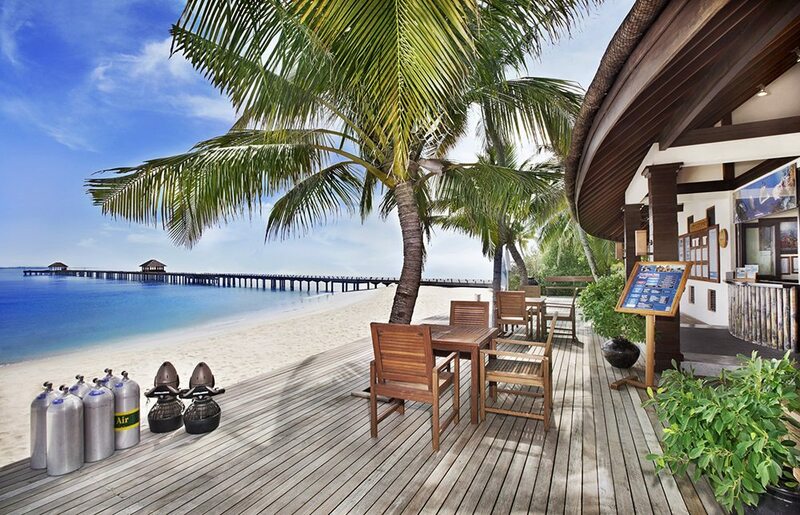 These stilted water villas offer opportunities for up-close views of the diverse Indian Ocean life. 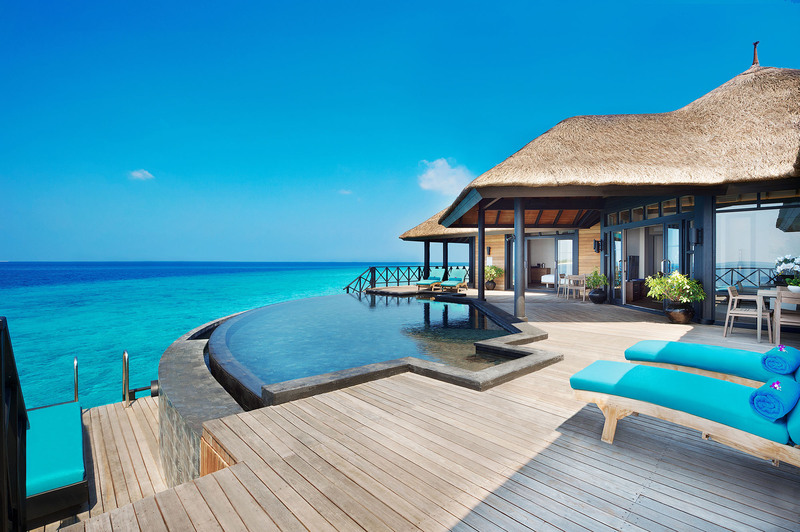 The JA Manafaru Sunset Water Villas with Infinity Pools are a spacious 110-square metres with high ceilings which facilitate the movement of the cool ocean breeze can comfortably accommodate up to 2 adults and 2 children between 8 to 16 years of age, or 3 adults. 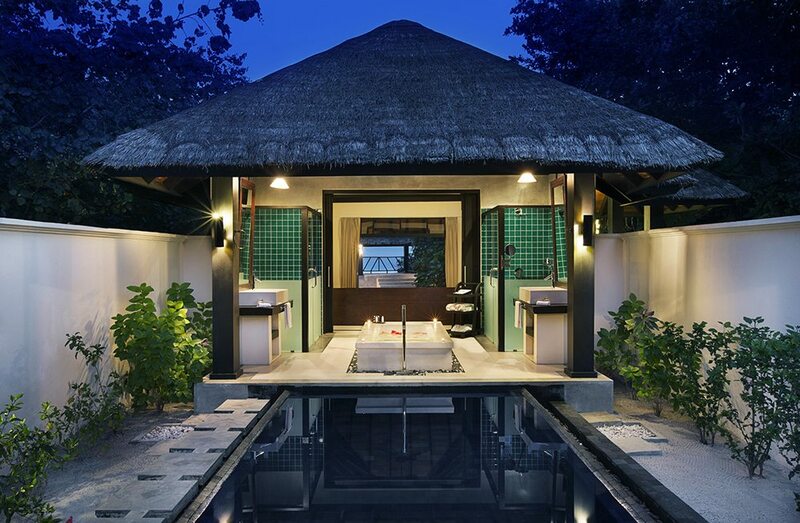 The One Bedroom Beach Suites With Private Pools are one of the best suites I the Maldives with an open-sky bathroom and outdoor rain shower with an i-Spa bathtub. 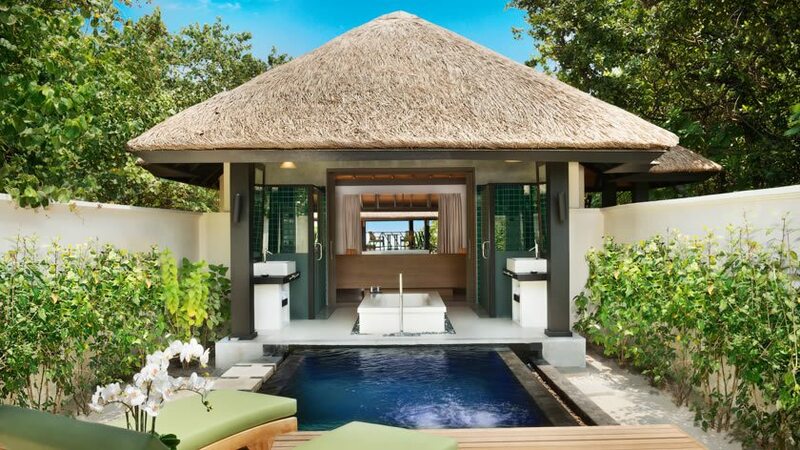 The One Bedroom Beach Suites With Private Pools are spread across 225-square metres with an additional 350-square metre outdoors area ideal for lounging. The one bedroom beach suite with private pool can accommodate up to 2 adults and 2 children below 16 years of age or 4 adults and an infant. 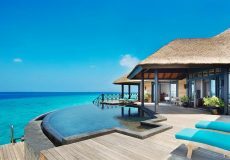 The Grand Water Two Bedroom Suite With A Private Infinity Pool comprises 350-square metres of indoor and outdoor space with direct lagoon access making it one of the most indulgent suites in the Maldives. 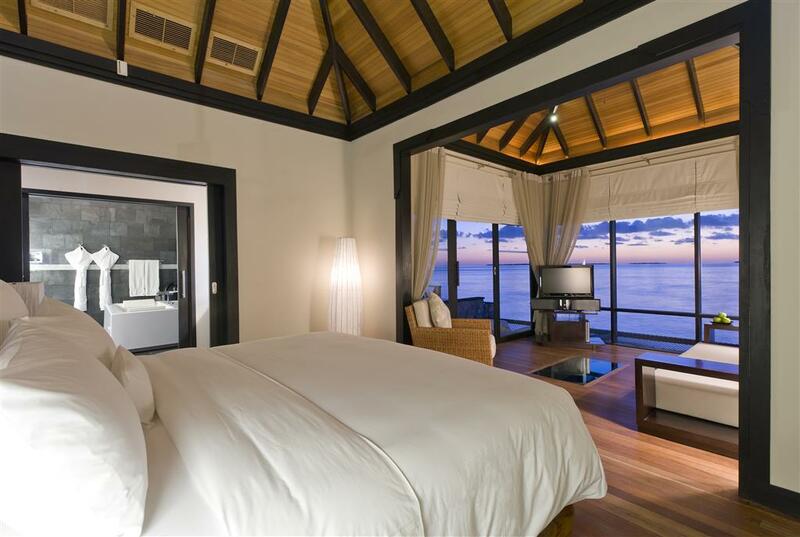 The Grand Water Two Bedroom Suite with a private infinity pool are 2 sea view bedrooms, with individual ensuite open-sky bathrooms, respectively furnished with a king-sized bed and can accommodate up to 4 adults and 2 children between ages of 8 to 16 or 5 adults with 2 infants. 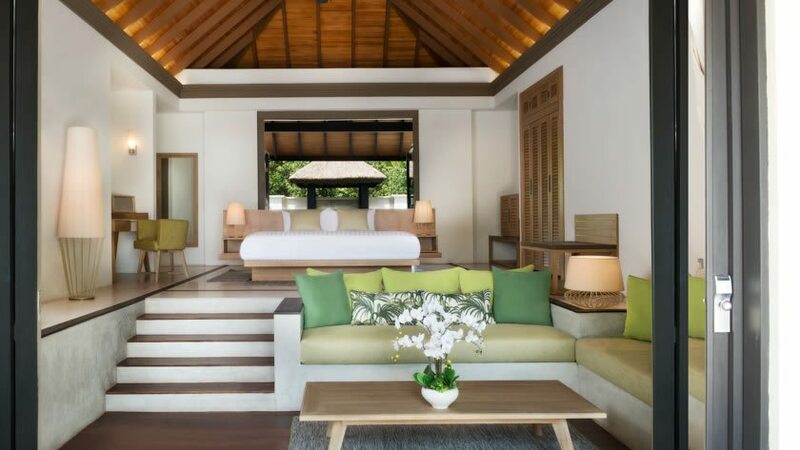 The Royal Island Two Bedroom Suite With Private Pool is perfect for a large group of family or friends, the exclusive two-storey beach residence features its own private spa facilities and treatment room. 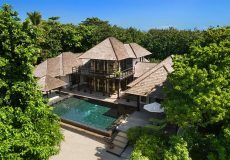 In its own grounds there is a private courtyard decorated with ornamental ponds, a private pool with an enlarged sundeck and a secluded beachfront with a beach cabana. 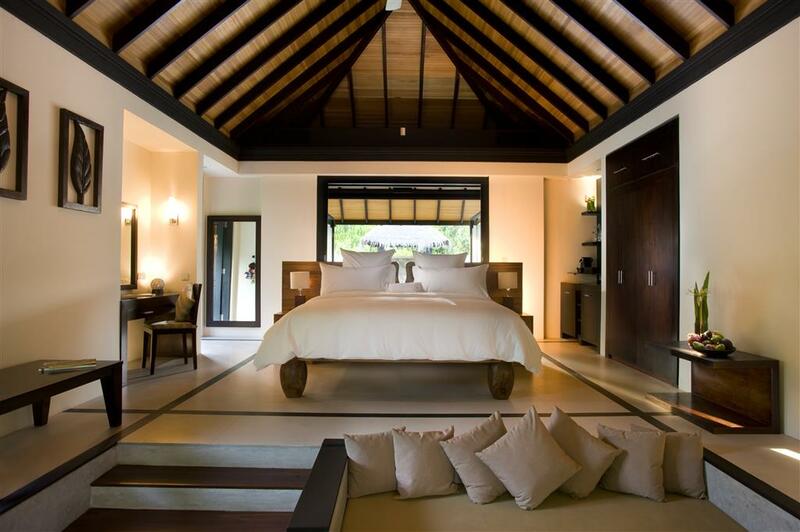 The Royal Island Two Bedroom Suite With Private Pool can accommodate up to 4 adults and 2 children, or 5 adults with 2 infants. 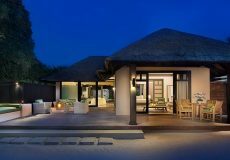 The Royal Island 3 bedroom suite is spread across 650-square metre space, the master en-suite, with a separate private pool, is furnished with a king-sized bed. 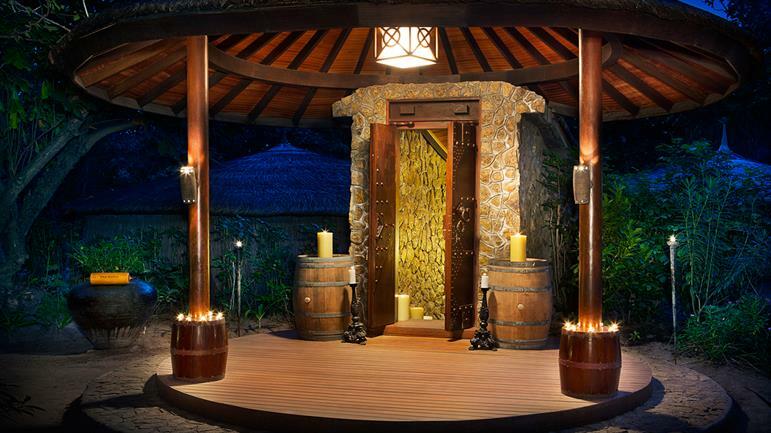 There are 2 open-air bathrooms with outdoor rain shower and i-Spa bathtub. 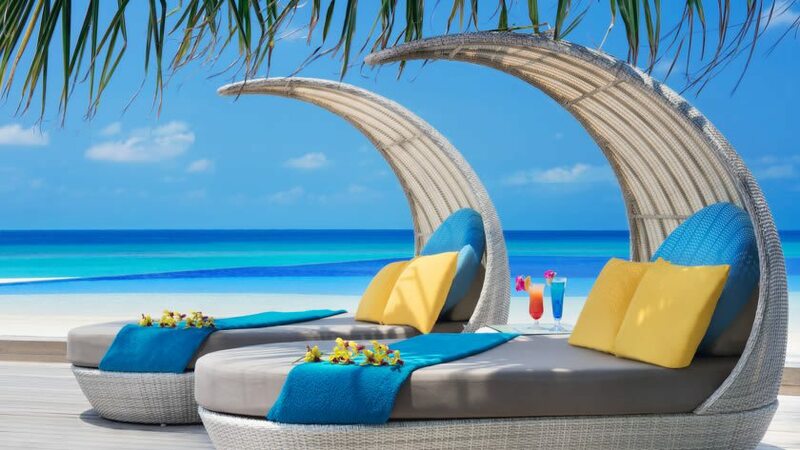 There is an enlarged sundeck with private pool, pavilion and sun loungers as well as a private sundeck a second private pool, daybed and sun loungers. The Royal Island 3 bedroom suite with private pool can accommodate up to 6 adults with 2 children below 16 years of age, or 7 adults with 3 infants. 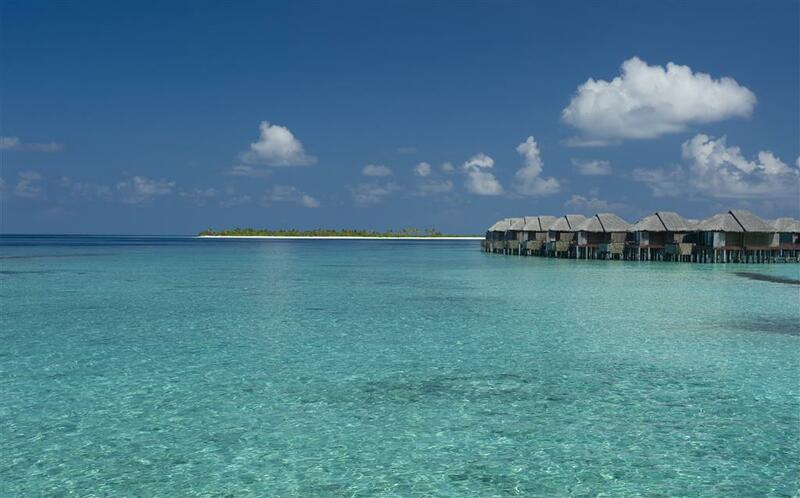 JA Manafaru, the most recent addition to the JA Resorts collection, is tucked away on a beautiful island at the most northerly tip of the Maldives. 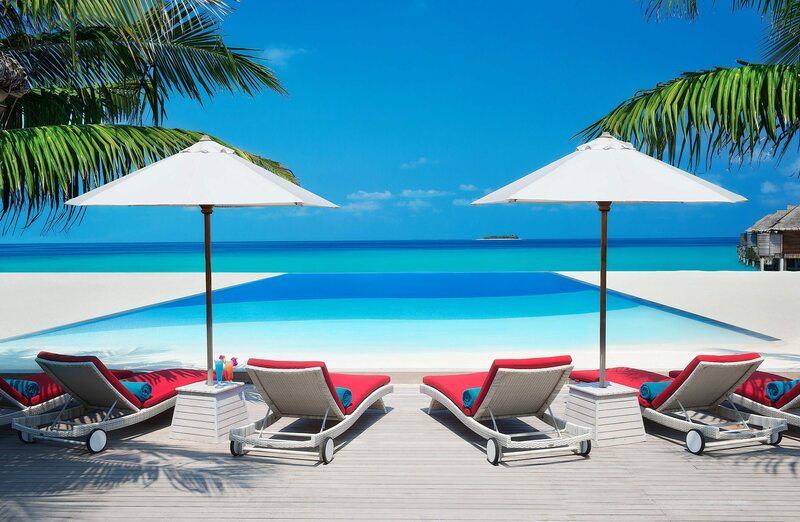 For true escapism, you’d be hard pushed to find anywhere more perfect than this luxury Maldives holiday! 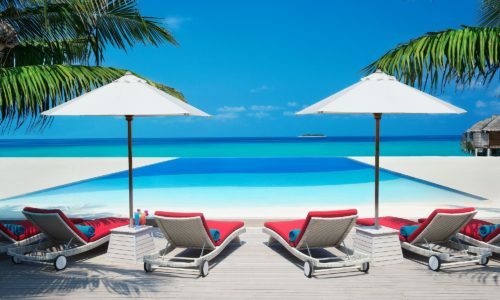 The award winning JA Manafaru is a 5-star deluxe resort offering luxurious beach and over-water villas and suites, all with their own private outdoor pools, decks and stunning views. 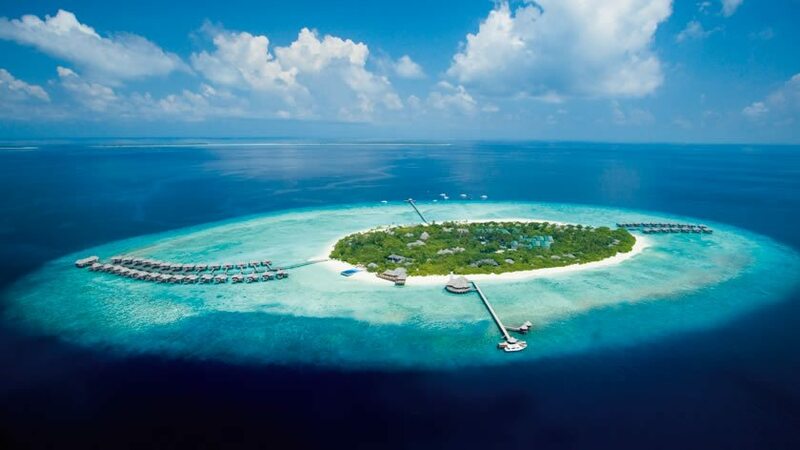 The resort is situated on a 35-acre private island in the northern most Atoll of the Maldives ‘Haa Alif’ and the island is surrounded by a soft, white sandy beach. 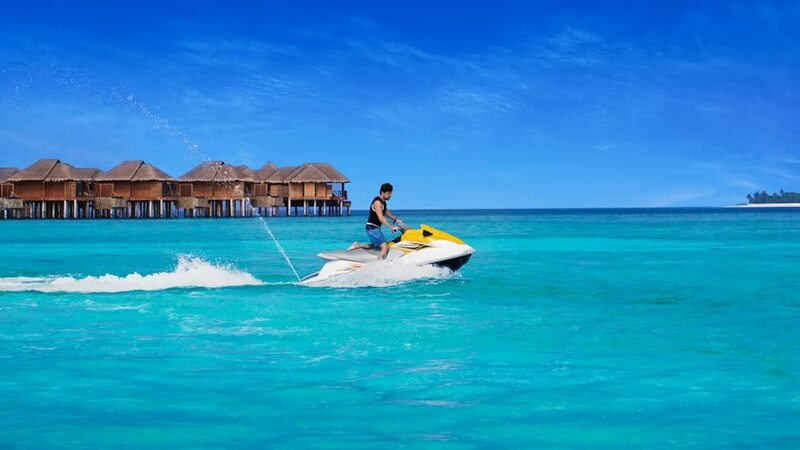 It is accessible via a 75-minute direct seaplane flight from Velana International Airport or by a 45-minute domestic flight to Hanimaadhoo International Airport followed by a 35-minute luxury speedboat transfer. 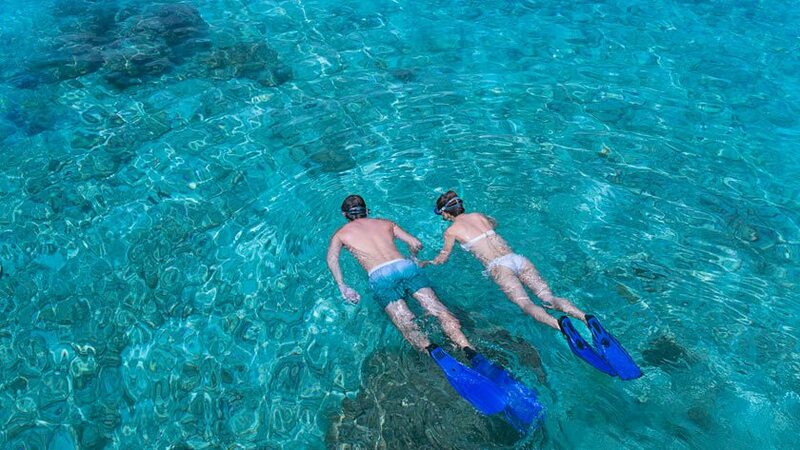 Whilst at the JA Manafaru, why not try one of the many resort excursions or activities from watersports, scuba diving to boat excursions and cruises to a magical ‘castaway’ experience on a private island. 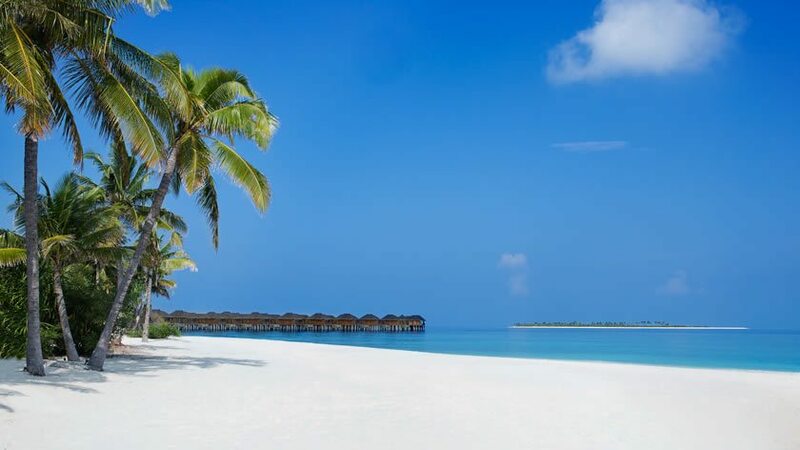 If a luxury Maldives all-inclusive holiday is what you are after, then the JA Manafaru all-inclusive option is definitely for you. 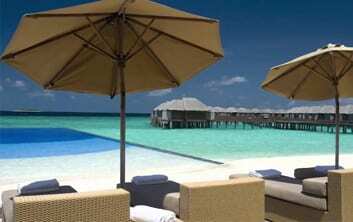 Why not combine a Maldives Holiday with a holiday to Dubai. 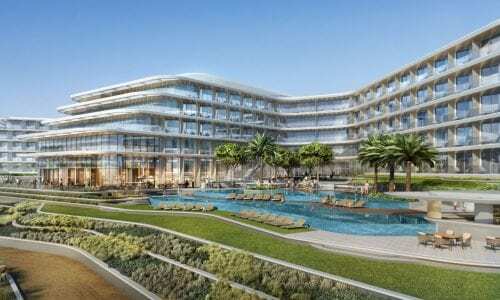 Stay either on the cosmopolitan JBR Walk at the Ocean View Hotel or Oasis Beach Tower or relax at one of the JA Resorts hotels in Jebel Ali at, JA The Resort. 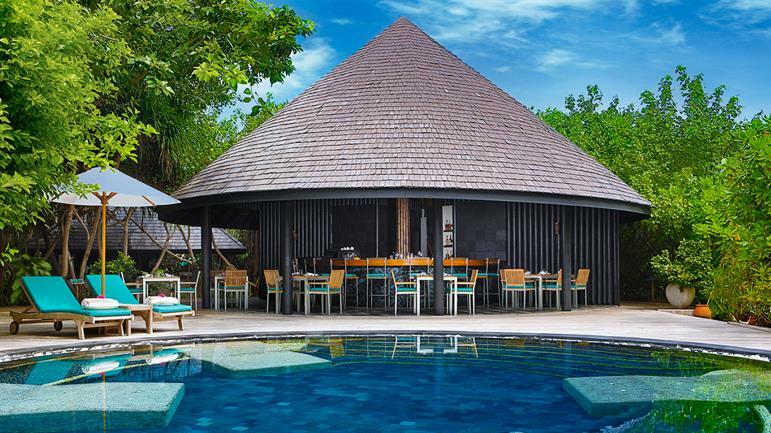 The Hotel recently was awarded TripAdvisor Travellers Choice Top 10 Hotel in the World 2017 making it undoubtedly your first choice luxury holiday to the Maldives. 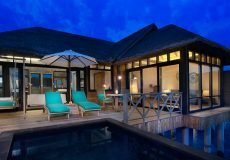 The Beach bungalow with a private pool can comfortably accommodate up to two adults and two children below 16 years or three adults and one infant. 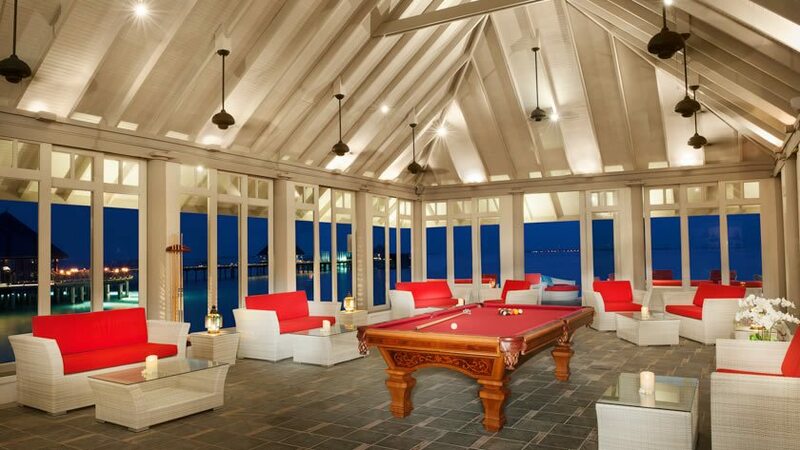 The One-bedroom beach suite with a private pool can comfortably accommodate up to two adults and two children below 16 years of age or four adults and an infant. 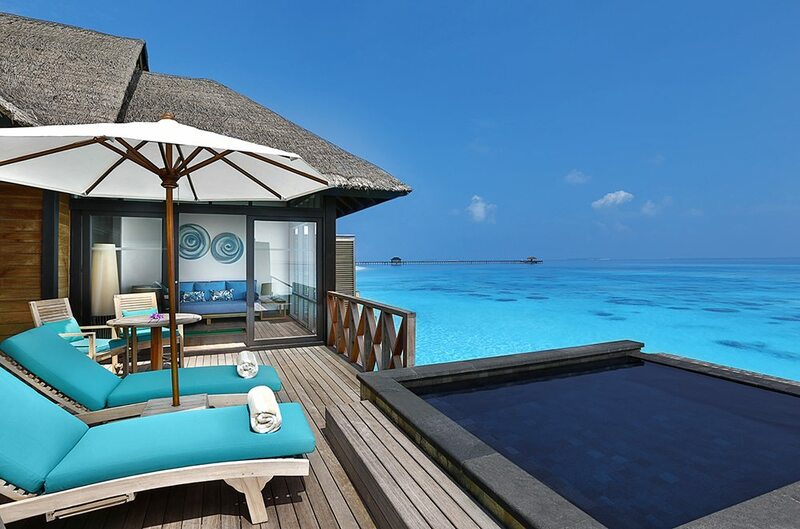 The Sunrise Water Villa with Infinity Pool can comfortably accommodate up to two adults and two children between ages 8 to 16 or three adults. 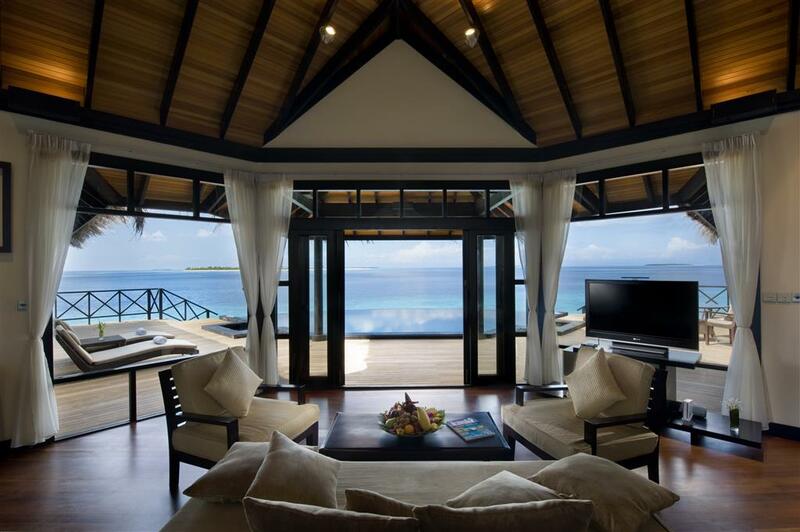 The Sunset water villa with infinity pool can comfortably accommodate up to two adults and two children between 8 to 16 years of age, or three adults. The Grand Water Two-Bedroom Suite with a private infinity pool can comfortably accommodate up to four adults and two children between ages of 8 to 16 or five adults with two infants. 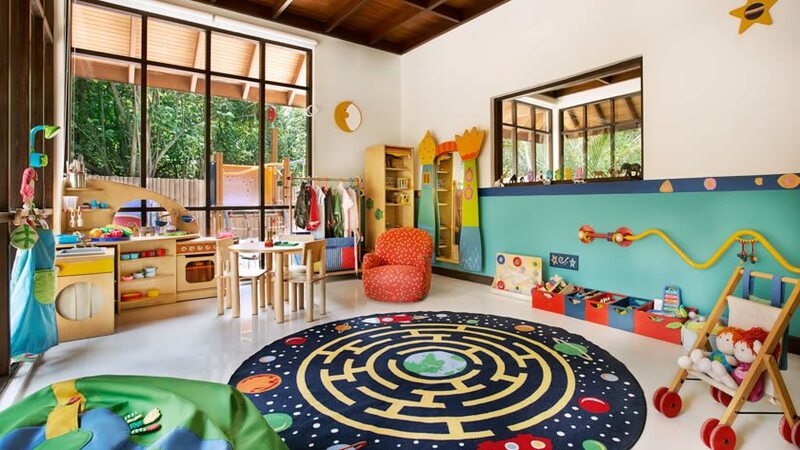 The Royal Island two-bedroom suite with private pool can comfortably accommodate up to four adults and two children, or five adults with two infants. 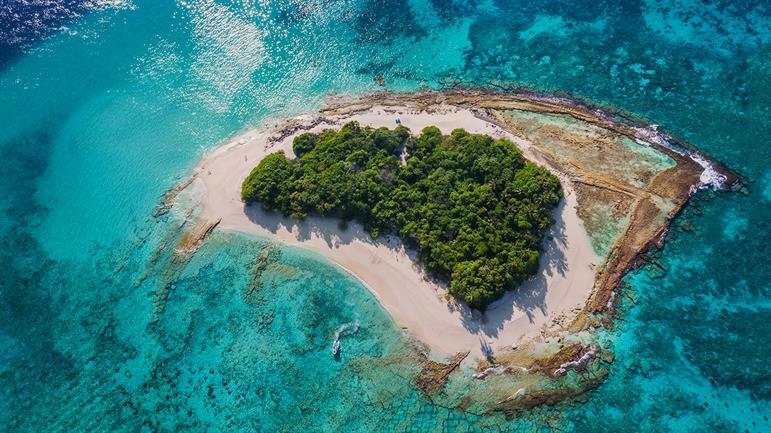 The Royal Island three-bedroom suite with private pool can comfortably accommodate up to six adults with two children below 16 years of age, or seven adults with three infants. 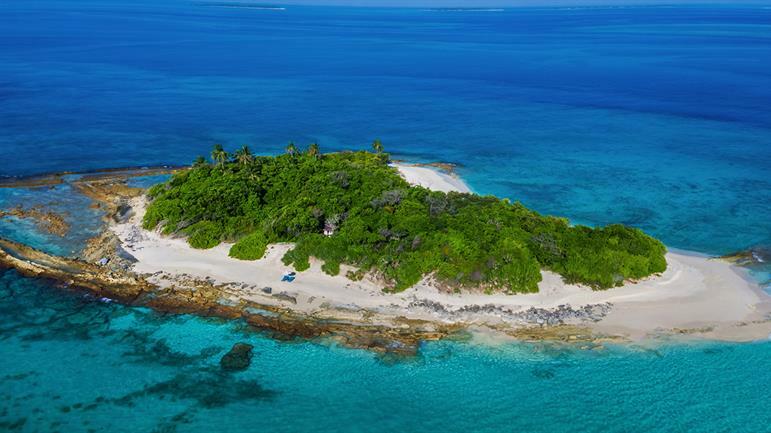 Return Seaplane Transfer to JA Manafaru included and takes approx. 35 minutes. Note: Seaplane transfer from JA Manafaru to Male is 6am to 2pm and from Male to JA Manafaru 11am to 4pm. 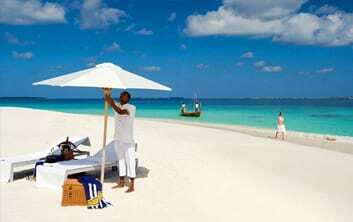 If your flight arrives or departs later please call us to book a night at the Hulhule Island Hotel. Please note that baggage allowance on Seaplane transfers is 20kg per person, your bags will be transferred separately and may arrive the following day. 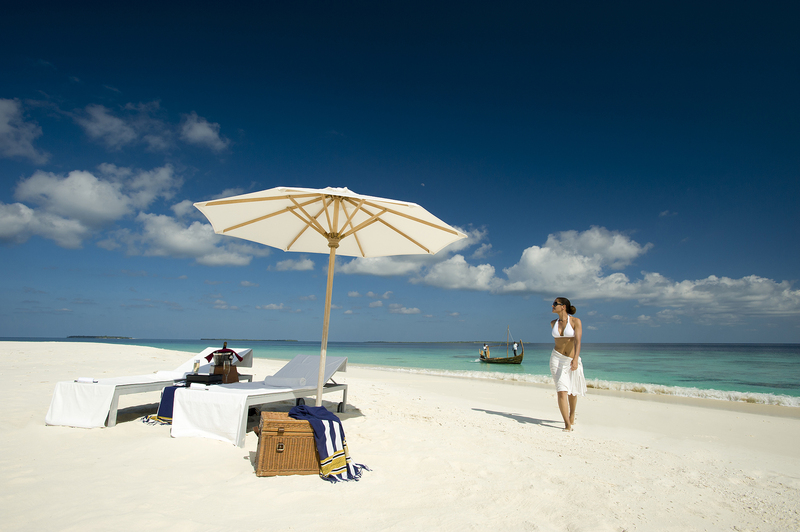 JA Manafaru have a dedicated lounge in the Domestic and Seaplane flight terminals. 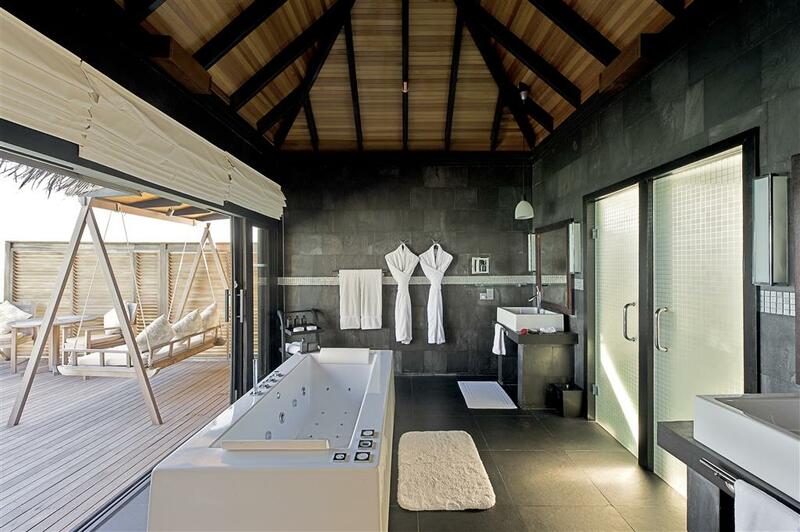 Guests of JA Manafaru can wait for their transfer to the resort and enjoy the facilities including space to relax and freshen up. 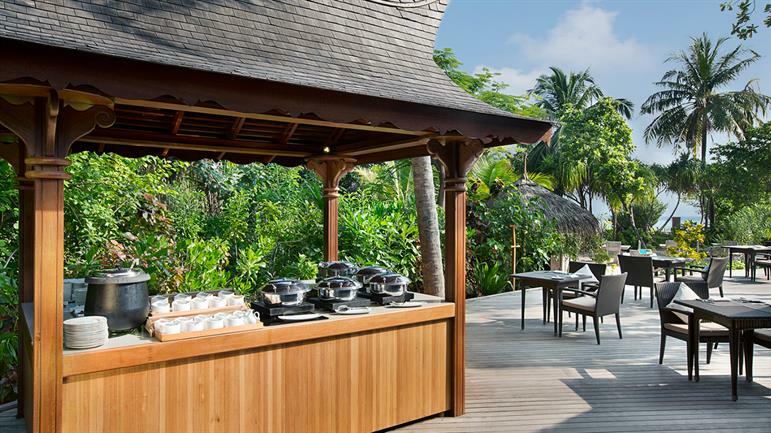 Complimentary wifi, light snacks and non-alcoholic beverages. Fruit basket and bottle of Moët & Chandon champagne on arrival. 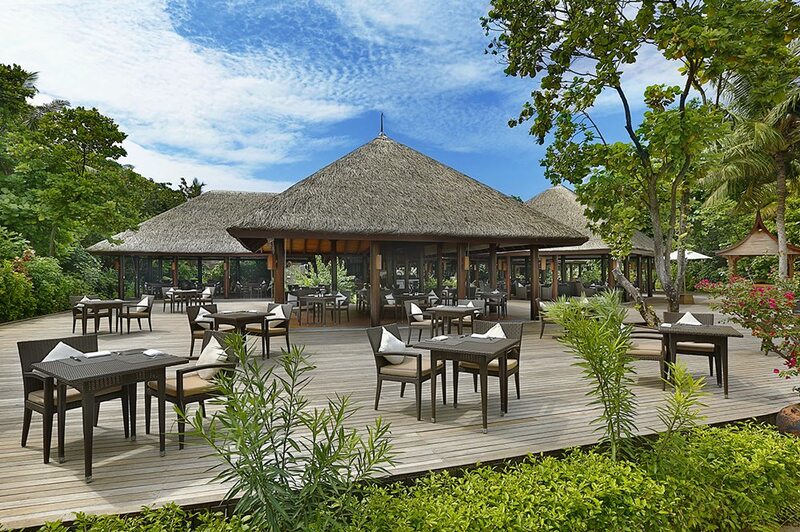 All meals – including breakfast, lunch, dinner, beach bar and snacks in 6 different Food & Beverage outlets (Kakuni Restaurant, Andiamo Bistro & Pool, Infinity Bar & Pool, Ocean Grill Restaurant, White Orchid Restaurant and Horizon Lounge). A wide selection of beverages in all of the above mentioned outlets – including soft drinks, hot beverages, mineral water, milkshakes, chilled and selected fresh juices, mocktails, cocktails, bottled beers, apéritifs, digestifs, vodkas, gins, whiskeys and bourbons, malt whisky, tequilas and wines by the glass (white, red, rosé and sparkling wine). 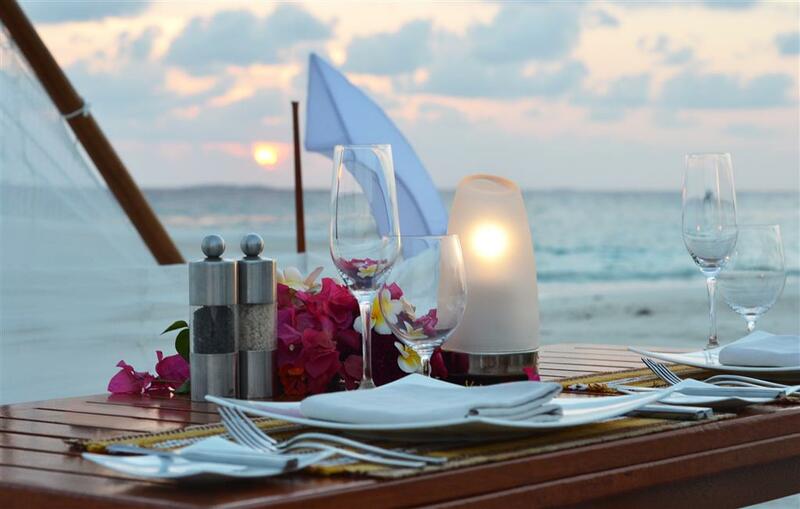 In all à la carte restaurants, guests are entitled to choose up to a 3-course meal. In-villa Minibar with a selection of spirits, beers, soft drinks and snacks (which are replenished once per day, including snacks). 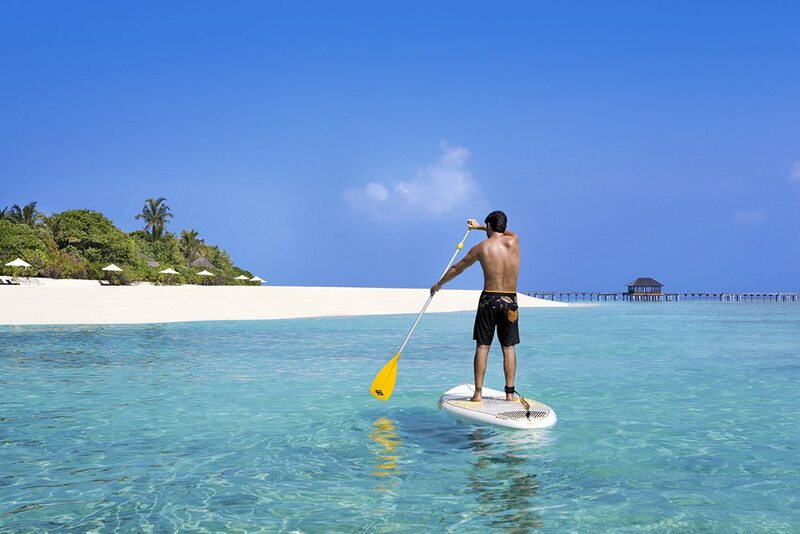 Unlimited non-motorised water sports (windsurfing, kayaking, stand-up paddleboarding, catamaran sailing, canoeing). 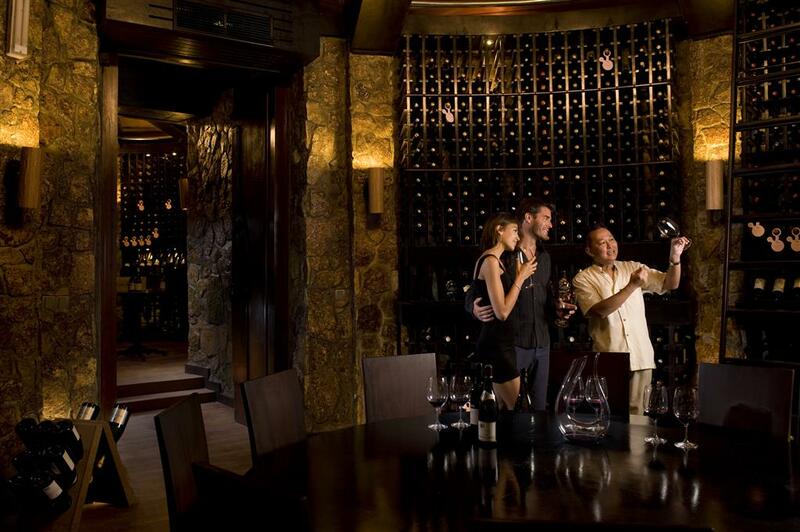 USD 30 supplement applies per person for Teppanyaki experience and dining at “The Cellar”. 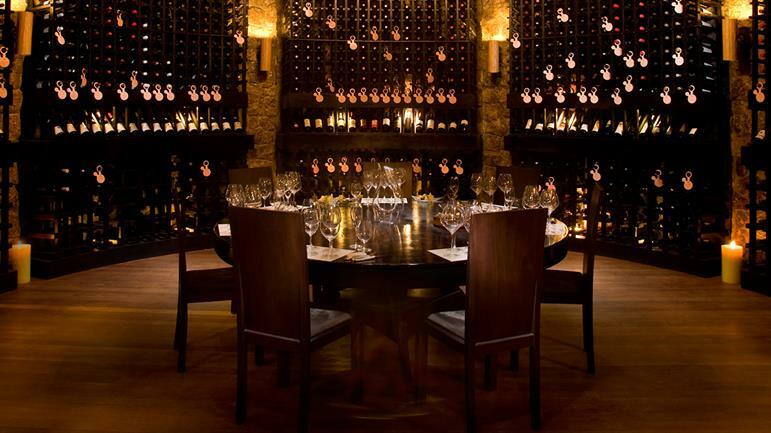 A minimum order of one bottle of wine is required per couple at The Cellar. A 50% discount applies to Chef’s specialties on all à la carte menus. 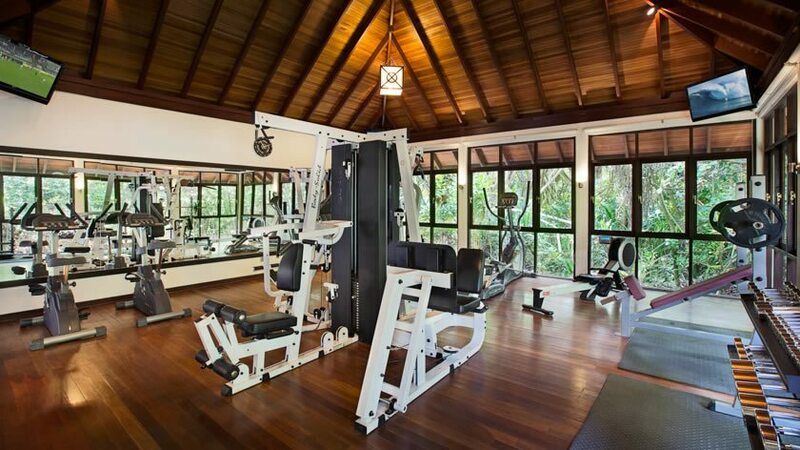 Exclusions: In-Villa dining, fresh juices (except for orange, watermelon and pineapple juices), energy drinks, premium beverages, champagne, selected special events and Chef’s specialties or promotions. Andiamo Bistro is located next to the resorts largest pool serving Lunch and dinner. The restaurant is Mediterranean inspired offers flavours that will take you right to the shores of the Med. From antipasti to pizzas, pastas and home-style dishes are prepared using the freshest local produce and served in a relaxed atmosphere. 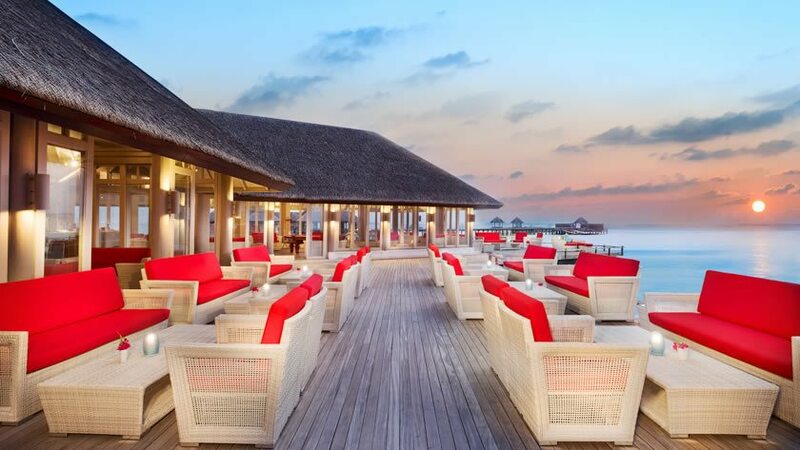 The perfect place to enjoy the sunset with a refreshing cocktail or two. 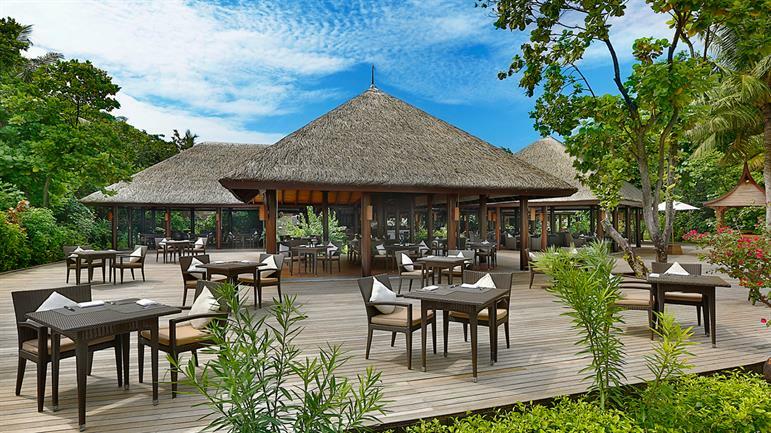 Located next to JA Manafaru's infinity pool, this restaurant is open from 12pm to 5pm serving gourmet sandwiches, refreshing salads, mouth-watering snacks and desserts. 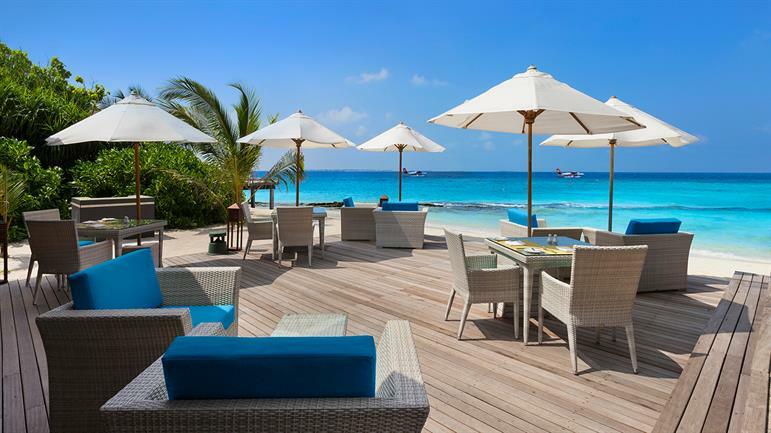 For guests lounging at this relaxing spot, Infinity Bar and Pool serves light bites of gourmet sandwiches, refreshing salads. 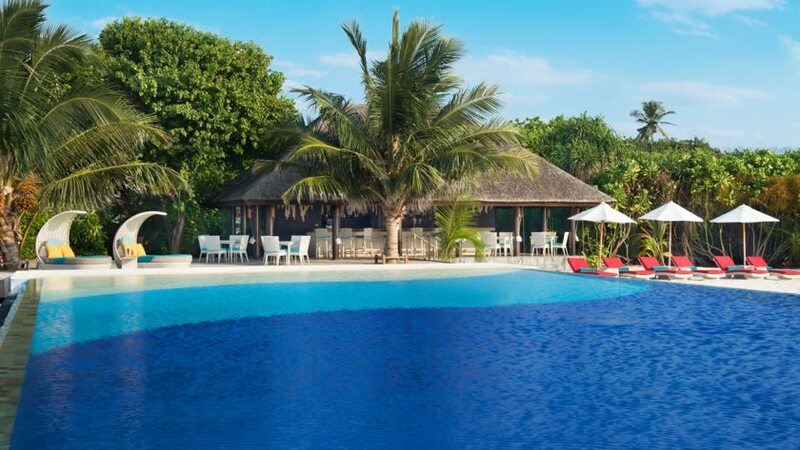 With never ending views of the Indian Ocean makes the JA Manafaru's Infinity Bar and Pool a picturesque setting. 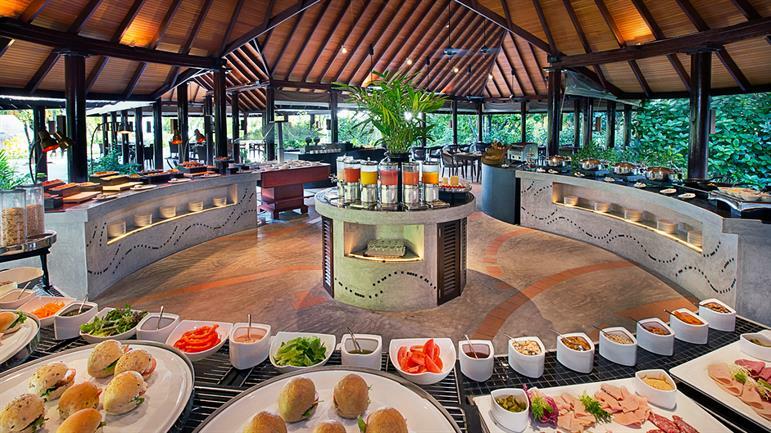 Open for breakfast and evening buffet, the Kakuni Restaurant is the islands main restaurant. 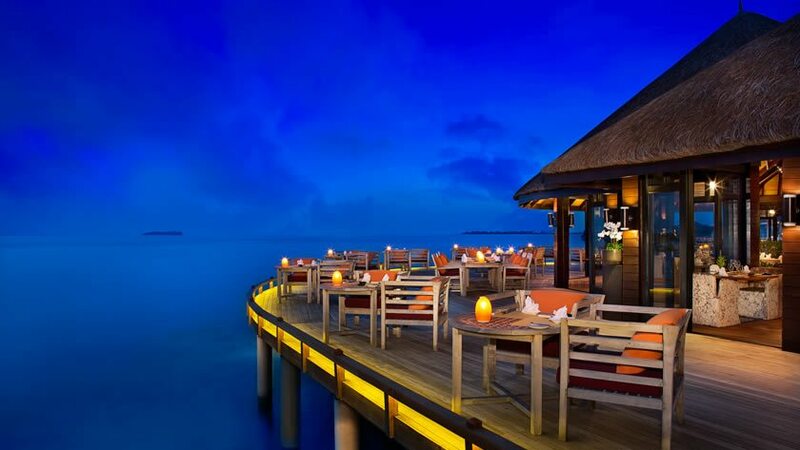 Partake in the island's culinary traditions at this enchanting buffet restaurant in the Maldives. 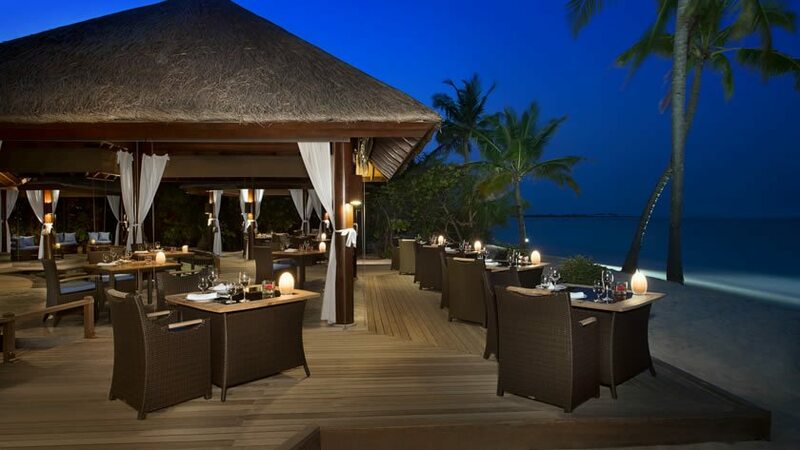 Themed meals are available in the evenings showcasing Maldivian cuisine and international delights. 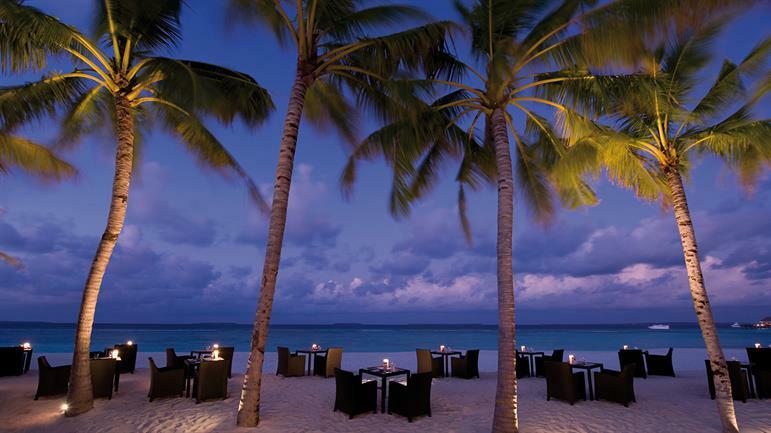 Located along the beachfront, the Ocean Grill at JA Manafaru offers a seasonal menu of mouth-watering dishes. 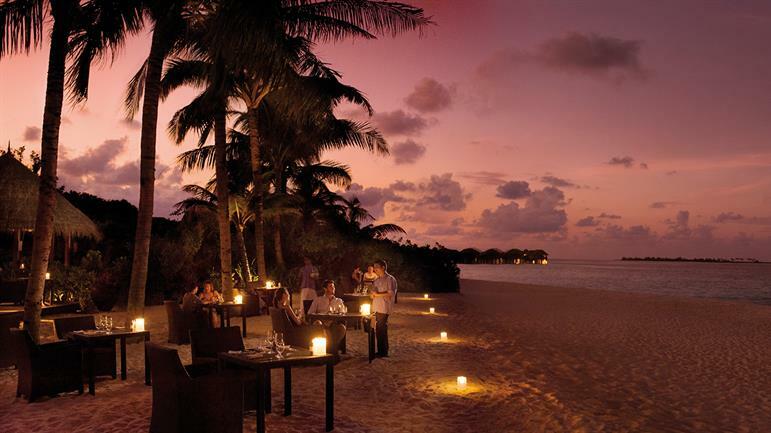 Open from 6.30pm, the Ocean Grill serves locally caught seafood and delicious grilled meats. The menu changes regularly to accommodate seasonal produce and fresh catches of the day. 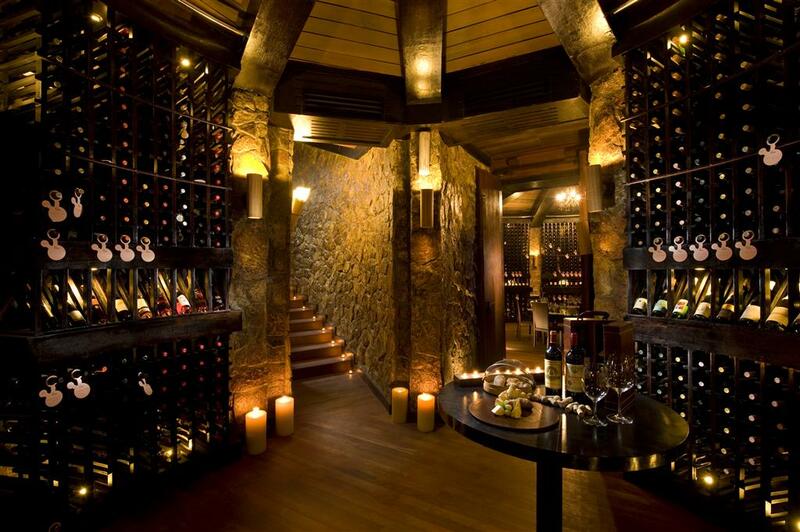 Probably one of the most extraordinary restaurants in the Maldives, The Cellar at JA Manafaru is an unparalleled experience of food and wine. 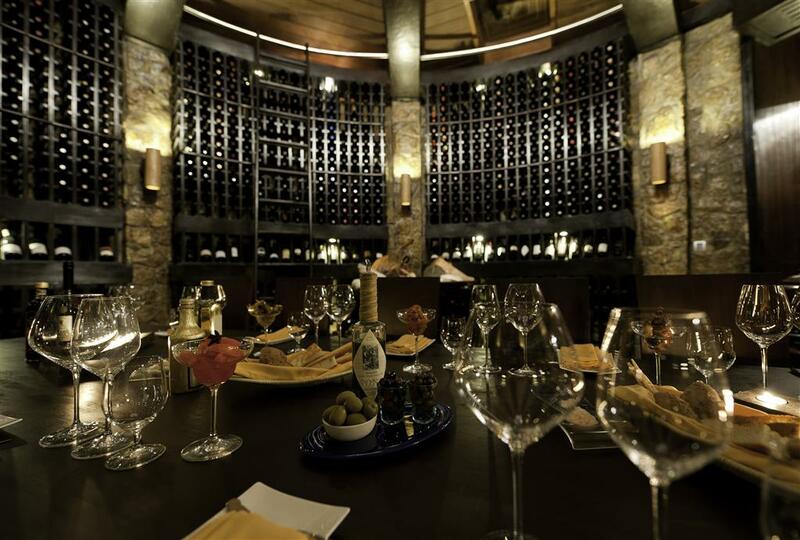 The Cellar at JA Manafaru is located two and a half metres below sea level in an award-winning wine cave with an extensive selection of wine combined with the haute cuisine menu. 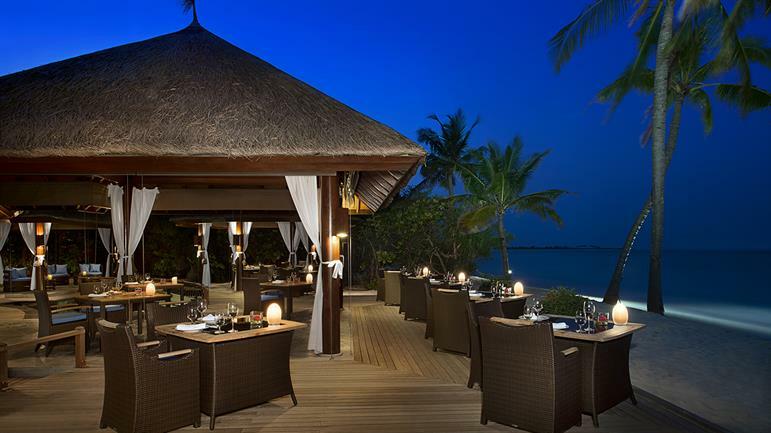 The White Orchid offers an exotic selection of Chinese, Japanese, Indian and Thai speciality dishes. 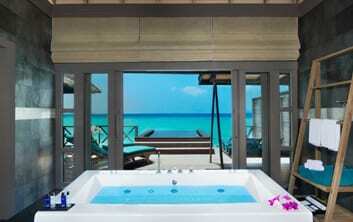 The White Orchid is stilted over-water bungalow, with magnificent views of the Indian ocean.